KTM has just announced its small electric motocross bike appropriately named the KTM E-Mini. Production of the KTM E-Mini motocross motorcycle is likely to begin in 2019, with sales slated to begin sometime in 2020. The KTM E-Mini will in all likelihood replace the internal combustion-engined KTM 50SX, which is KTM's current mini motorcycle for younger riders. 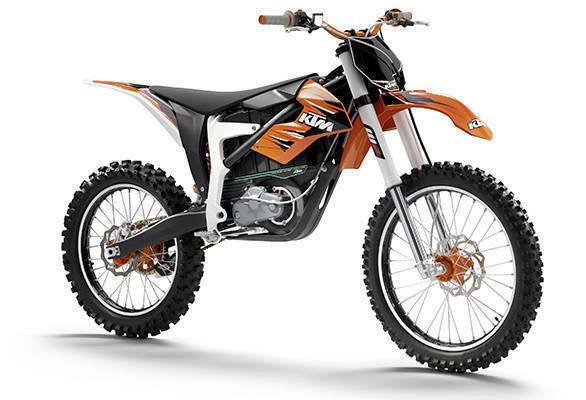 KTM already has a popular electric off-road motorcycle the KTM Freeride E-XC, the second generation of which was recently launched. The Austrian bike maker states that the KTM E-Mini has already registered better lap times than the 50SX, suggesting that testing and development of the mini-moto has reached an advanced stage. According to KTM product manager Jochi Sauer, the E-Mini motocross bike's development began nearly two years back. The son of one KTM's motocross riders recorded a lap time astride the mini electric bike which was 2 seconds faster than the 50SX. However, technical details on the upcoming E-Mini model are unavailable at the moment. KTM's electric motorcycles are developed under the KTM Freeride E range. These include the Freeride E-XC, E-SX, and the street-oriented E-SM. If and when these electric motorcycles reach India remains to be seen.